DelcoCPR hosted a public hearing on September 30, 2018 in Media, PA. Learn more about our goal to Deprivatize Delco’s Prison. Hear from those formerly incarcerated, their family and friends, as well as corrections officers who share their experience from George W. Hill, along with local elected leaders. DelcoCPR leader Kabeera M. Weissman spoke directly to Delaware County Council at the weekly meeting on February 27, 2018. After the meeting, Kabeera spoke with Council Chairman John McBlain who said that the Delaware County Board of Prison Inspectors would have to solicit a request for proposal from service providers in order to consider changing the management of the prison. View Kabeera's public statement in the video below, and read about the meeting in full detail from reporter Kathleen E. Carey of The Delaware County Daily Times. 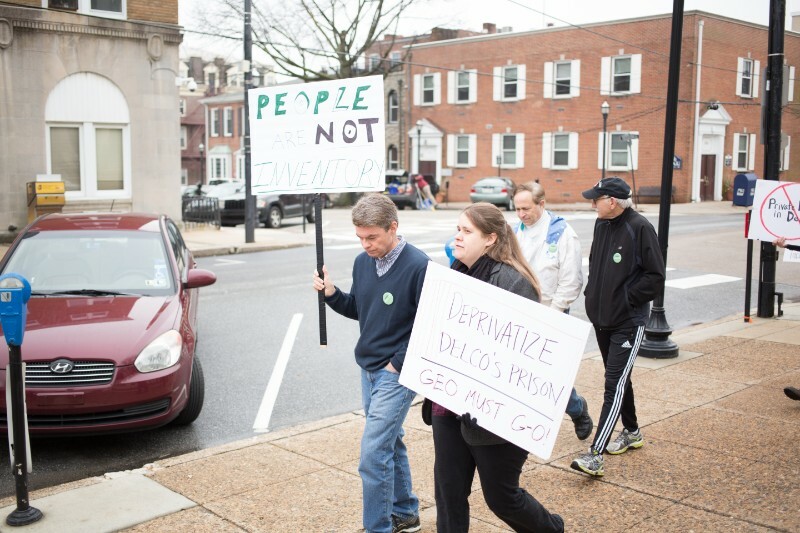 DelcoCPR members and area residents gathered in Media, PA in front of the Delaware County Courthouse on February 24, 2018 to rally to Deprivatize Delco's Prison. 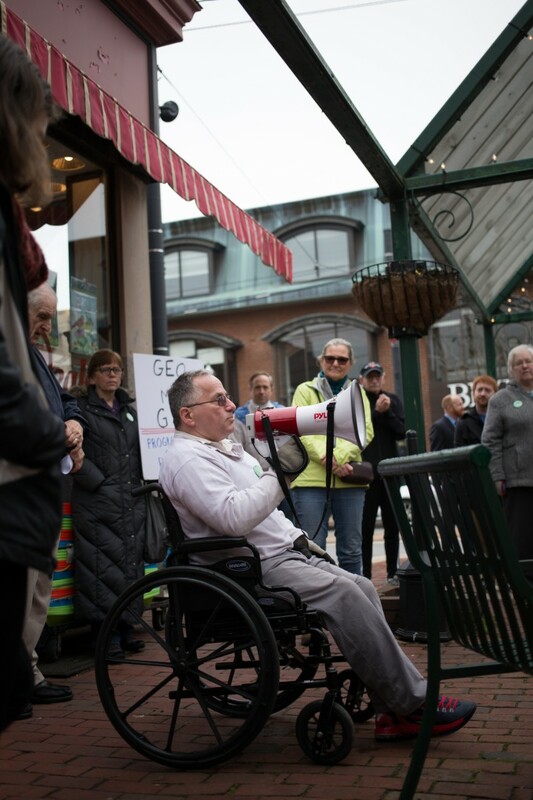 Speakers shared details about the privatization campaign, what group members witnessed during a visit to George W. Hill Correctional Facility in Fall 2017, and a personal experience of incarceration at the prison.